This lecture is a glimpse into the career of a civil engineering PhD in project management that spans four decades with mindset of improving the practice, learning from every lesson, and having the attitude of “if it ain’t broke, break it.” Two featured case studies will illustrate Dr. Ponce de Leon’s willingness to continue learning, in each and every assignment, with every challenge faced. While incremental improvement can make a career, this presentation dares to pursue breakthrough improvement when one recognizes that an entrenched professional practice has lost value or relevance over time. Particularly, this lecture posits that the critical path method of planning and scheduling has outlived its usefulness in that it remains a task performed by specialists using a black-box process in the face of an Internet social revolution that cries out for more collaborative, transparent, “stakeholder-centric” processes. The lecture introduces the graphical path method (GPM) and explains why it is the proper approach to planning and scheduling, and therefore, to project management, in the Internet era. While this lecture focuses on Dr. Ponce de Leon’s experience in our industry, more importantly, it challenges students to recognize that individual driven learning begins at commencement. This lecture, which is an integral part of the Tishman Construction Management Program at the University of Michigan, is made possible through a generous gift from Mr. John L. Tishman who served as the Chief Executive Officer at Tishman Realty and Construction Co., Inc. It is intended to promote construction management research, education, and practice among faculty and students. The 2015 speaker will be Dr. Gui Ponce de Leon. Dr. Gui Ponce de Leon is the founder and CEO of PMA Consultants LLC (PMA), a firm ranked in the top fifty of ENR’s list of Top 100 Construction Management Firms and Top 50 Program Managers since 2005. PMA currently operates 12 offices nationwide. Since 2004, Dr. Ponce de Leon has led the development of PMA’s groundbreaking, patented graphical path method (GPM®) of planning/scheduling and its software embodiments, NetPoint® and NetRisk™. 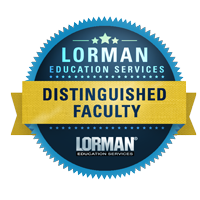 Dr. Ponce de Leon’s expertise and leadership in introducing innovative project scheduling methods and techniques will make for a great contribution to the Tishman Distinguished Lecture Series.